Curiosity diverted from our primary "Mount Sharp Ascent Route" a couple weeks ago as we continued to investigate the outcrops of bluish-toned rock that are scattered around this region of the Vera Rubin Ridge. 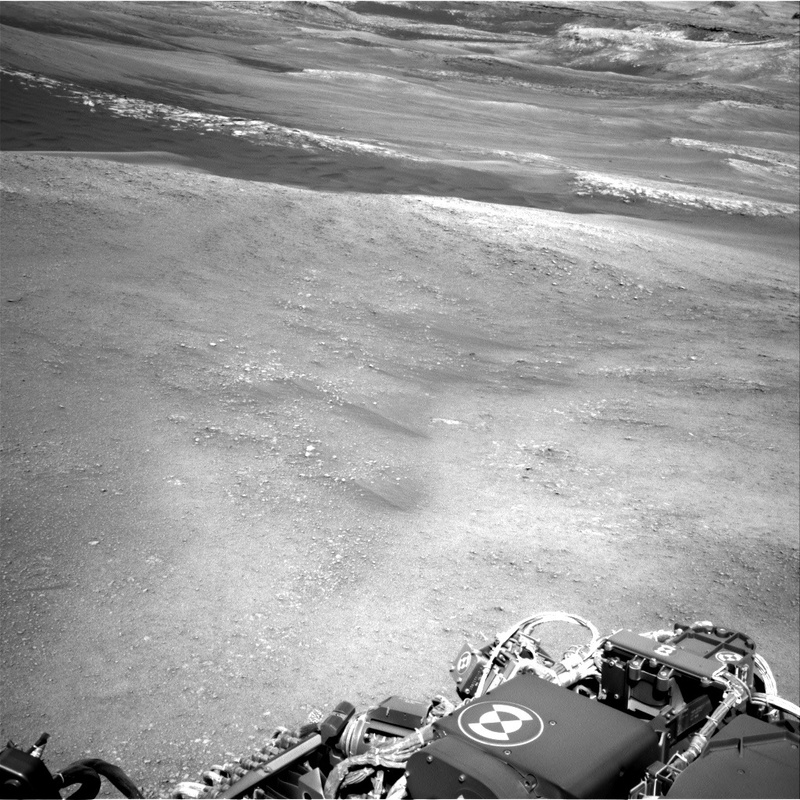 Our most recent drive put us near the edge of the Vera Rubin Ridge, overlooking the "clay unit" (the upper portion of this image) that Curiosity will eventually reach, but not yet! We still have work to do in the hematite-rich Vera Rubin Ridge and so we must return to our original path eastward along the ridge and will begin that with a drive on the second sol of today's plan. But before we depart, Curiosity will finish investigating the science goal of this location: studying a transition in rock tones between more gray-blue tones and those familiar martian orange-reds. This involves contact science on one of the redder-toned rocks, "Loch Gairloch", with APXS and MAHLI and then a series of ChemCam LIBS rasters on a suite of both bluish and reddish rocks in the rover's workspace ("Callander", "Moidart", and "Kirkcolm") and some Mastcam images of those nearby targets as well as some more distant features ("Eriskay", "Glen Tilt", and "Broadford") along our future drive path.